Looking to upgrade a few taps in my house, I started wondering how it all started. In this article, I would like to share tips on choosing the right taps for your home. Its origin can be traced back to 1700 B.C. Of course, the Romans used taps to run baths. Today, we take it for granted that when the left tap of a two-handle tap is turned, hot water will appear. Indoor tap water first became available during the early 1800s, when kitchen hand pumps were used to draw water from outdoor sources such as wells and cisterns. Firstly, taps had two handles for hot and cold water until 1945 when Al Moen designed the single handle tap. 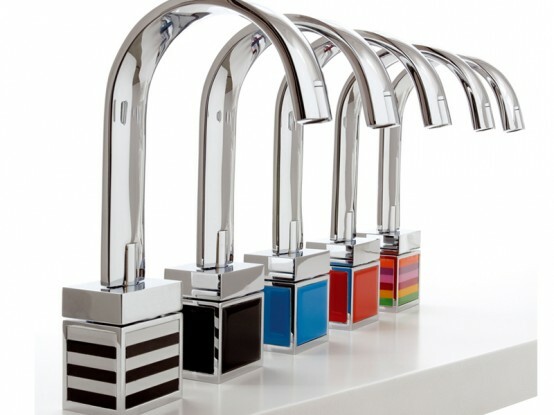 Today, taps have become stylish and functional accessories. When choosing a mixer taps, you should consider the quality first and then the style of your home. Mixer, monobloc, thermostatic, for the shower or sink? Difficult to make a decision with so many different types of taps. The mixer is the simplest in design with two handles (one to regulate hot, one for cold water) placed on each side of a high spout. Functional, it is also the most economical. Then, the monobloc is formed of a single lever to adjust the flow and temperature. It can be handled with one hand. It is the most convenient. Finally, the thermostatic tap for the shower and bath, will regulate automatically and instantaneously the temperature of the water. A handle for the flow, another to adjust the desired temperature which, once reached remains constant regardless of drops in pressure related to other points of use in the house. It is the safer system. In addition, it contributes to saving water and energy with the absence of trial and error for obtaining the desired temperature and manually maintaining the correct temperature. It is the most sophisticated, but also the most expensive. In the bathroom, what type of tap should we choose for the sink, tub or shower? Mixers are appreciated for the height of their beak which allows to easily fill a glass of water, to spray your face or get wet hair without being folded in half! Mixers are easier to operate. 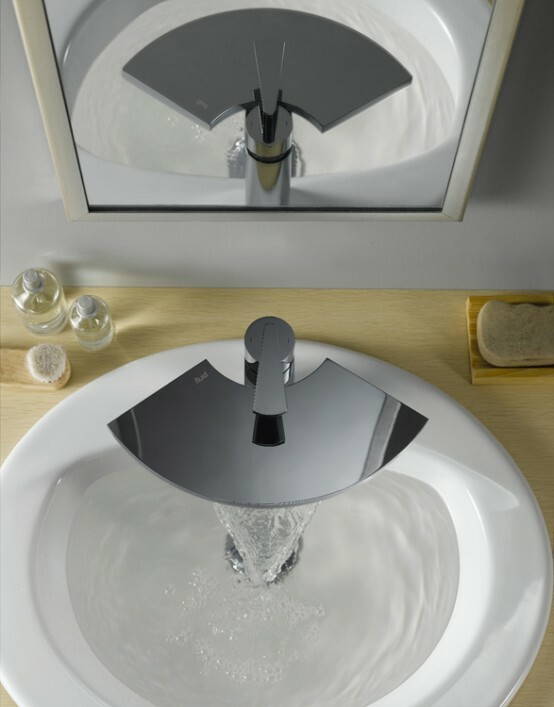 Enhanced models, 30 to 45 cm in height enable the installation next to a tank type bowl, very trendy, without resorting to a tap embedded in the wall which requires a more costly installation. With respect to the equipment of the bath, you can either fix the tap on the bath on the wall. For the first option, it is important to take into account the shape of the bathtub, the width of its beaches and the location of the lever. 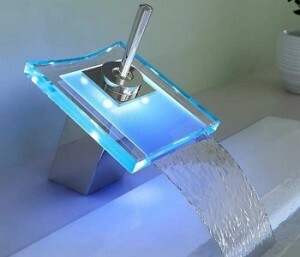 A new acrylic bathtub may be pierced at the request to accommodate the tap of your choice. A cast iron bath will be pierced in the factory and cannot be changed. Furthermore, let’s consider the protrusion of the spout in the choice of installation of the fitting to not be bothered when entering or leaving the bath, but also so that the shower hose is not damaged by the bathtub drain lever. In both cases, a built-in on the mixer hand shower support is much appreciated. It allows aesthetic easy grip. Over the time when the hose was wrapped around the tap and handshower which regularly falls in the bathtub! And for the shower, the thermostatic tap is undoubtedly a good choice for its constant temperature comfort and security it provides in particular for children through the temperature stop before 40ºc. Do not neglect the length of the warranty, generally 5 years and the quality of customer service. Buying from a professional guarantees you will find spare parts and often avoids the replacement of the product, even after many years. The innovations in this market focus on fittings created for seniors and people with reduced mobility. Some mixers are equipped with a long lever (150 mm) and sequential mechanism for adjusting the flow and temperature in a single movement on a quarter-circle. The opening of cold water is done gradually until full flow and then the mixture is made with hot water. The associated long lever and this type of mechanism allow a movement of lever using the elbow. The evolution is also found in integrated fitting water-saving systems like a flow controller type nozzle with aerator. Like the Eu energy-efficient labelling of white goods, WELL has established a 2 stars classification of taps. For example, for a single-lever mixer, the has 2 categories, the volume (flow rate) and the temperature. The current design in the fitting generates products with cylindrical forms or assemblies of rectangles at right angles. The shapes are sleek, minimalist with a concern for the integration of the technical aspects. The aerator is integrated in the body, it is discreet. The water comes naturally. 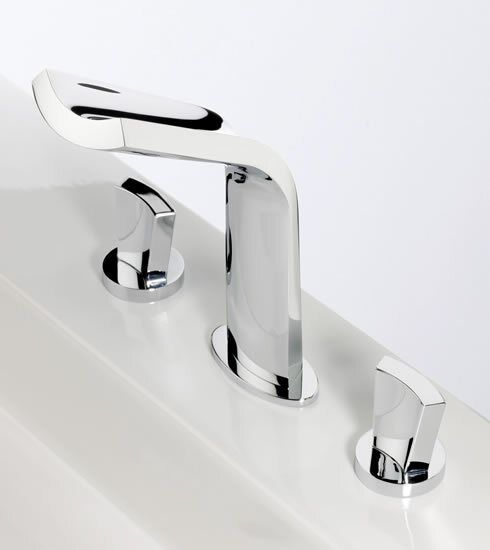 Diverter bath/shower is no longer a protuberance on the top surface of the tap. It is discreet, integrated into a handful of thermostatic or around the release of the shower hose. It will be interesting to see what the future holds for the world of taps. What do you think? This article was posted in Bathrooms, General, Kitchens. Bookmark the permalink. Follow comments with the RSS feed for this post.Post a Comment or leave a trackback: Trackback URL.